I can’t tell you how many times I’ve heard chefs on tv say to toss any spices or herbs after 6 months. One day one of my favorite tv chefs addressed a live audience and asked “How many of you still cook with dried herbs?” No one raised their hands, as if afraid to admit it! They were filming in Florida and he lives in California, and even though they have a climate where many fresh herbs are available year round, there are still times when dried herbs are better – and more cost-effective. Even the large spice company, Penzeys states that many spices are only harvested once a year and therefore it would make no sense to toss them after six months, and also stated, properly stored, they can last much longer! Here’s some rules of thumb for we lesser mortals that don’t feel compelled to do what they tell ya on tv, and some basic information on buying and storing. Use when they really are key ingredient or are needed for that sense of taste and luxury: basil in pesto or on a Margherita pizza, fresh parsley over the top of a potato, etc. Think fresh, quick sauces or dishes and as a finishing touch. Of course, you may use with wild abandon if you grow them yourself in a garden or a pot on the windowsill, have a market in your area that supplies them for a reasonable price, or can truly afford them. Store cut herbs in the refrigerator in a glass jar or in zip bag folded in a barely damp paper towel. 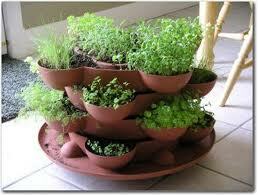 If a recipe calls for dried herbs, add about 3 times the amount of finely chopped fresh herbs. If you’re not going to use up your fresh herbs before they go bad, dry them yourself! Tie a little string around a bundle and hang from cupboard handle. The North Carolina Extension Service has information here. I like to grow my own herbs, and bring some in every fall to help me get through the winter. I’ve had the best luck with chives, parsley and thyme. If you have leftover herbs, see Smidges and Titches. May keep longer than six months – use your nose to judge! Store in a cool, dry area, preferably not above the stove. It really depends on the herb, how/where stored and how often you use. If you have a big jar of nutmeg, for instance, that you’ve opened 3 dozen times and kept above the stove it won’t keep as long as that same jar had it never been opened and stored in a cool place. Smell the jar upon opening. Does it smell as strong as it should? Taste a bit. If it’s not as strong as you think it should be, add a little more to the recipe. If it’s lost all it’s flavor, discard and replace. I often buy the more common basic herbs and spices in the sealed pouches in the bulk rack. Whether I buy in jars or bags, I immediately transfer some into my small jars that I cook from and keep near the stove, and store the rest tightly sealed in a seldom used cupboard. I just replenish as needed. Use dried herbs in any long simmering sauce. Consider “fortifying” the sauce when cooking with dried herbs in a long simmering sauce or recipe like spaghetti sauce, chili or stew. After cooking for a while, add a smidge more of the herbs and spices for a more forward taste. When I cook with dried herbs, I often put them into the palm of my hand and smoosh them around a bit, lightly crushing them. You can also slightly toast some of your spices and herbs, a method I first became familiar with in Mexican, Latin and Indian cooking. Just add them to the pan for a quick minute, until you can smell them, and proceed with the recipe. I really like to make my own spice blends when I cook for the recipes I always use and I know I’ll be making in the next few months. When I make spaghetti, chili, tacos, rubs, etc., I measure out enough for several recipes, jar or bag, label and store. Use good judgement in how long to save, etc. If a recipe calls for fresh herbs and you’re using dried, substitute about 1/3 dried. My “spice” cupboard. Note, I have two – one for the everyday herbs and spices, and another in a cool, dark cupboard for the extras, my bags of homemade dried herbs and my special blends and rubs and bulk storage. These I generally keep in Ziplock bags and/or canning jars. To Grind Your Own or Not – There are some herbs and spices you’ll want to grind yourself. I sometimes buy whole spices and pulse in my blender (never have gotten around to spending extra money on a coffee or spice grinder.) Toast first, if recommended, then grind. Keep in mind that many recipes are based on the proportion of flavors using preground spices, and freshly ground may have a stronger flavor than you’re used to. If the premade product contains an expensive herb or spice and costs about the same or less than you might spend for that herb or spice, or contains a large quantity of spices that you may never use, consider the blend. If it’s a blend all made of common ingredients, like apple pie spice, just measure your own. If it’s for something very special like a complicated curry and you can count the cost/time as a part of the entertainment of the dish, consider buying and grinding your own. If it’s for everyday, weekday food, like using a 1/2 teaspoon of curry in an egg salad sandwich, use the blend. Allspice – For most of my baking I use preground. If I’m using it in a savory dish I often grind the berry. This makes a huge difference in jerk chicken, for instance. (The berry keeps indefinitely if stored in an airtight container in a cool, dark place – I also use them in mulled ciders, wines or spiced tea.) Ground allspice may substitute in equal amounts for cinnamon, nutmeg, or cloves. I’ve found that a lot of dishes that originated in Eastern Europe, Sweden to the north and Greece to the south originally called for a bit of allspice, but when looking at American versions, there is often no mention of the spice. It is strong, and usually a recipe will call for a small pinch or very small measurement. When used properly, it doesn’t stand out but subtly flavors the dish. Last bought: Ground: October 2011 $1.40 for one ounce. Bay Leaf – Dried leaves should be whole and olive green. Brown leaves will have lost their flavour. Whole leaves are often used in cooking and crushed or ground leaves can be used for extra strength. Kept out of light in airtight containers the whole leave will retain flavour for over two years. Use in soups and stews, daubes, bouquet garni, pickling spice. Used throughout the world. Cayenne Pepper – Cayenne pepper can be used as a spice in cooking; or as a condiment at table, generally with seafoods, such as oysters, sardines, smoked salmon and trout, scallops, fried mussels, crab, lobster and crayfish. It may be sprinkled over soups and hors d’oeuvres. It can be eaten with eggs cooked in any way, and egg dishes such as omelets, deviled eggs and souffles. It is good with roasted, grilled, fried or stewed meats. It can be sprinkled on bacon prior to frying and used in the dusting flour for fried chicken, fish and vegetables. It adds piquancy to stews, casseroles and sauces, especially cheese, barbecue and shellfish sauces. It can be used in the making of cheese straws and biscuits, marinades, pickles, ketchups, chutneys and smoked foods. It is an ingredient of Worcestershire sauce and is frequently used in curries. Store in a dark place and buy small quantities as it deteriorates rapidly. Cloves: I use the ground in a lot of fall and winter baking. The whole I’ll use in mulled wines or spiced teas, and in one surpising recipe: Chicken Fricassee. I’ll have to write that up soon. Last bought: Ground: $1.82/oz in October 2011. Cinnamon: Indispensible in my kitchen, the whole sticks are used in Spiced Tea, Mulled Wine and even in an oven baked apple sauce. Ground we use for cinnamon toast, baking and Indian to Greek foods. I can often find great deals on cinnamon at, of all places, the drug stores, and it’s dirt cheap in the big warehouse stores. Cinnamon sticks are often bagged at the craft stores prior to the Christmas holiday. Garlic Powder: $2.62 for 3 ounces. I use in rubs and blends all the time. Marjarom – In my opinion, one of the underused herbs in home cooking. I generally use it dried, and I love to add a little to chicken stews or soups, fricasses or pot pies. Marjoram is typically used in European cooking and is added to fish sauces, clam chowder, butter-based sauces, salads, tomato-based sauces, vinegar, mushroom sauces, and eggplant. In Germany, marjoram is called the “sausage herb” and is used with thyme and other spices in different types of sausages. It is usually added at the end of cooking to retain its delicate flavor or as a garnish. It goes well with vegetables including cabbages, potatoes, and beans. The seeds are used to flavor confectionary and meat products. The French add marjoram to bouquet garni and herbes fines for flavoring pork, fish, and lamb dishes. It is popular in Greek cooking, for grilled lamb and meats and to complement onions, garlic, and wine. Italians use it in tomato sauces, pizzas, fish dishes, and vegetables. In Eastern Europe, it is added to grilled meats and stews with paprika, chilies, fruits, nuts, and other dried spices. North Africans and Middle Easterners use marjoram in lamb, mutton, barbecues, vegetables, and seafood. In the United States, it is used commercially in poultry seasonings, liverwurst, bologna, cheeses, sausages, soups, and salad dressings. Spice Blends: bouquet garni, fines herbes, khmeli suneli, sausage blend, and pickle blends. Last bought October 2011 for $1.54 for 1/2 ounce. Nutmeg: I often use this whole and just grate what I need. Be wary, here, if you are using a recipe that calls for the preground; you’ll find the freshly grated nutmeg is quite a bit different and much stronger, and could overpower the other spices. I use nutmeg in white sauces or bechamel, in a lot of potato dishes, baking and of course, to top egg nog. A touch of it marries well with spinach, especially creamed spinach. A bit always goes into my mulled wine, cider or spiced tea. Pepper – I keep it in several forms. If I’m adding a teaspoon to a long cooking recipe, I’ll use the preground. If I’m using it as a main flavor component, say in a salad dressing or as a finishing touch to any recipe, I’ll use my pepper grinder. If it is the main flavor component to a recipe like steak dredged in peppercorn or a key ingredient like a peppery sausage, and I need a larger amount I’ll pulse to the right consistency in my blender. I’ll use the whole peppercorn often in chicken soups, chicken fricassee, stews or long cooking Italian sauces. I always throw a few peppercorns in my chicken stock. Thyme – One of my favorites, and it’s one of the herbs I always try to grow in my garden. At the end of the season, I just whack off what’s left, dry it and put it in a jar. It seems more flavorful than the store bought version. Thyme is one of the herbs in a traditional bouquet garni, and blends well with other herbs in dishes without overpowering. It is often used in Caribbean cuisines, as well as French, Portugese, Spanish, Italian and many cultures of the Middle East. It’s used primarily in soups and stews, and has an affinity for dishes containing tomatoes, eggs and lamb. It’s a primary flavoring in jerk sauces, and I’ve found fresh makes a huge difference here. Vanilla – I love to bake and have used vanilla in the extract form, the vanilla bean, and even on occasion, imitation. I was pretty much a diehard with the natural vanilla forms until Chis Kimball of America’s Test Kitchen and Cook’s Illustrated fame did some tests. The results were amazing. They found many types of dishes that their reviewers could not discern the difference between real and imitation extracts. The cook in me was crushed, but the frugal monster inside laughed sinisterly – I know she was gloating. A good strategy for buying supermarket Vanilla is to look for sales combined with coupons – McCormacks often has coupons around Easter, the store generally has good sales, and quite often, I’ll find Catalina’s – money back on your next purchase at the store when you buy so many containers. Don’t leave your bean too long before using, they can dry out and then they’re not as flavorful. When you’re done with your recipe, carefully wash the bean. It can be reused several times then put into some sugar. Use this sugar in coffee or in baking. You can also drop the bean into some vodka to infuse and flavor.